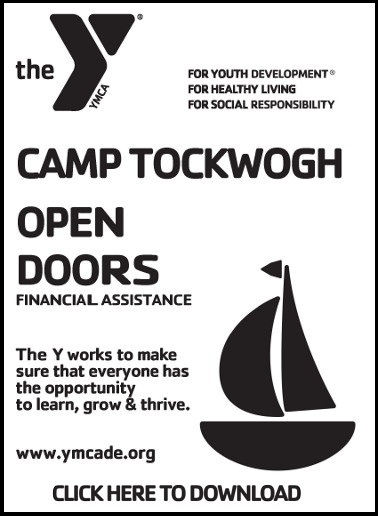 The YMCA of Delaware requests that individuals provide the information on the attached form regarding income, family size, and necessary expenses so that it can provide financial assistance in a fair and consistent manner. The YMCA also requires that individuals reapply annually, or when requested, to keep the information on their application updated. The ability of the YMCA to respond to requests for assistance is dependent upon the success of fundraising projects and the current operating financial situation. Financial assistance rarely covers 100% of the total membership or program fee. Your fees are subject to increase when you reapply. If you do not reapply when requested, your enrollment may be terminated. amount of automatic monthly deposit). NOTE: If you do not have a copy of your tax return, you may obtain one by calling the Internal Revenue Service (1-800-829-1040). If you did not file taxes last year, or you don’t have the other documents required, please submit a letter explaining your personal situation. You may be contacted by the Business Office. Please allow 10 days to process your application. Once your application has been processed, an agreement letter outlining your financial assistance will be mailed to you. To activate the financial assistance, please bring the agreement letter with you to our member service desk. All YMCA members receive the same membership benefits, regardless of whether or not they are receiving assistance. YMCA members can feel great knowing that they are involved in an organization that cares greatly for the health and well-being of people and is committed to building strong kids, strong families and strong communities.